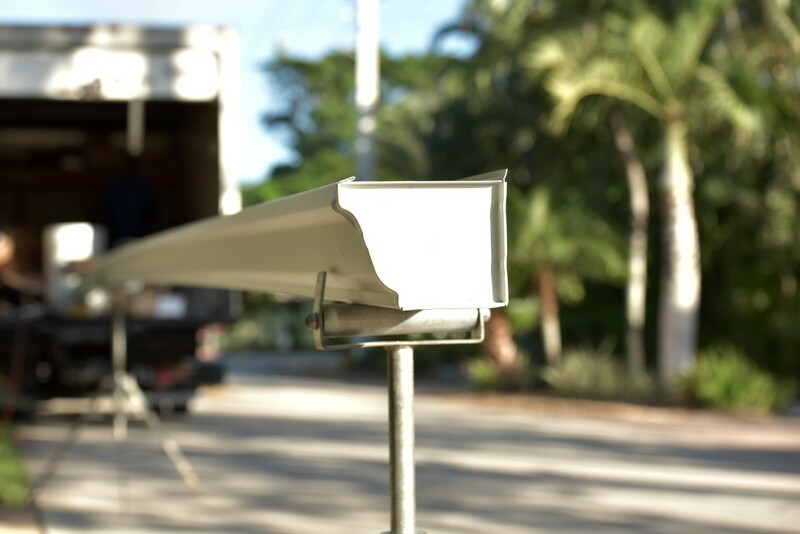 Lauderdale Lakes is a city that is blessed with pleasant weather throughout the year, but that does not exclude homeowners from having to schedule gutter installation on their homes, or set aside time for professionals to make necessary gutter repairs, or have regular gutter cleaning. 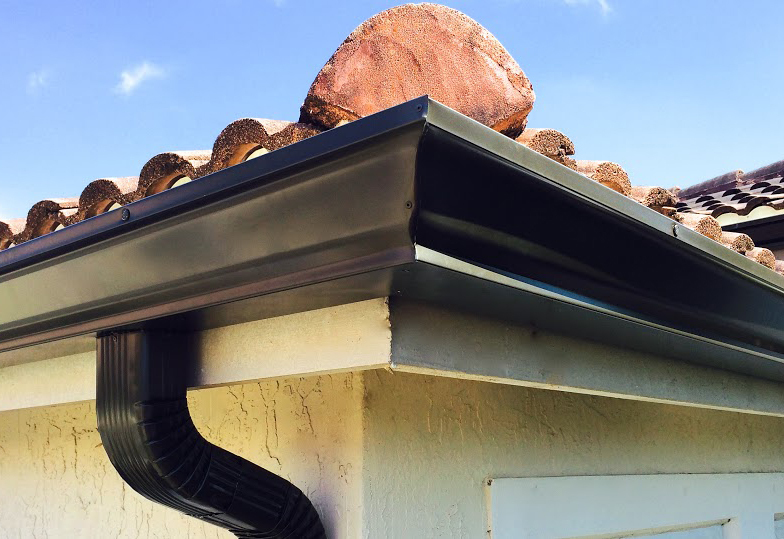 Whether you have a compact little home or a mansion, gutters should be an indispensable part of your home maintenance program. Not doing so can lead to unnecessary but expensive gutter repairs. Regular gutter cleaning after the gutter installation is complete will ensure that your gutters have an increased lifespan and do not have any major problems at all. There are many extensions that can be installed on gutters to make maintenance easier, such as gutter screens and gutter guards. There are also extensions for downspouts which will further add value to the functionality of your gutters. The extensions which are installed on the roof or fascia, or on the gutters themselves, such as the gutter guards and gutter screens, prevent heavy and large debris from ever falling into the gutters while ensuring that water can flow through without any impediment. This way, gutters do not get clogged with debris. When gutters do get clogged with debris, not only does your Lauderdale Lakes home get affected by water damage to the walls and fascia of the house, but the gutters themselves can sag or get broken or have leaks due to the excess weight of the water plus the debris. If your Lauderdale Lakes home has beautiful lawns or a well-maintained garden laid around the house, then you would not want the downspouts from gutters to be pointing towards the basement of the house where the garden bed is laid. This is because the forceful water that gushes out of the downspout can damage both the foundation of your home as well as your lovely gardens and lawns. To prevent this, use downspout extensions that not only carry the water away from your lawn, garden, and foundation, but also look good and blend in with the general aesthetics of your home and lawn. One way to prevent your gutters from sagging due to heavy rainwater is by installing heavy rafters for support under the gutters and to install them in such a way that they are close to each other. This gives extensive support to the gutters so that they do not sag no matter how heavy the rainfall may be. If you find water dripping over the sides of the gutter, then it is time to take a look at them. Look out for any holes in the joints as well and get them patched up as quickly as possible. It is best to get your gutters regularly inspected and maintained by professional gutter contractors who have the experience and expertise in helping countless homeowners like you get their gutters in order. This is especially important to do at least twice a year. At the end of fall and at the end of the spring seasons are the best time so that any falling leaves and spring blossoms that may have fallen into the gutter can be cleaned out before an issue develops. The more rainfall you experience in your part of the country and the more trees you have around your home, the more frequently you must inspect your gutters. The general rule for the size of gutters is already determined by city authorities, but you can also make an estimate of the size required as the bigger the roof and the more the rainfall in your area, the better it is to have bigger and wider gutters. The thicker the size, the longer it will last. Gutter It Up has been in the business of gutter installation, cleaning, and repair for years. Give us a call today at (954) 603-1888 to get your Lauderdale Lakes home gutters inspected and maintained like a charm!